Diabetes is a challenging conditions to live with, and those with diabetes may have many complex health needs to consider. Those with diabetes may find increased likelihood of foot problems, for example, and will usually be assigned a foot care specialist to help them to care for their feet. As diabetes progresses, developing foot problems can have serious complications, and may even lead to amputation in extreme cases. As such, it is very important to pay attention to your diet and exercise regime, and to be aware of the connection between your general health and your foot health. Talk to your doctor or foot care professional if you are concerned about your feet, and familiarise yourself with the potential problems so that you are aware of any issues that develop. 1. Skin problems. 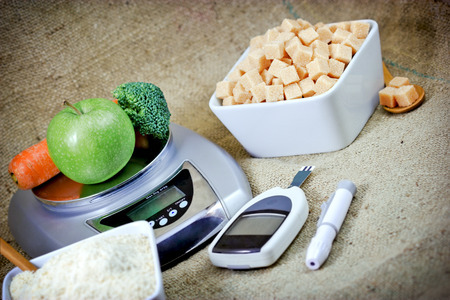 Diabetes is characterized by problems with the nerves, and the nerves that regulate moisture and oil production in the feet are particularly affected. Many people with diabetes, therefore, suffer from dry, cracked skin, and may also be prone to fungal infections, which can have serious complications for diabetics. 2. Foot ulcers. People with diabetes are at higher risk of developing foot ulcers, often on the soles of the feet, and these can be slow to heal. If the bone is infected, surgery may be necessary, but medical professionals will determine which part of the foot is affected and advise you on the best care options for your situation. 3. Peripheral Vascular disease. Blood flow to the feet is compromised in people with diabetes, and as a result, the blood vessels to the legs and feet often narrow and harden. This can cause pain when walking, and can lead to sores which may be slow to heal and can become infected. 4. Peripheral neuropathy. A serious foot condition associated with diabetes is known as peripheral neuropathy, which is a progressive disease that damages nerves and reduces the ability to distinguish heat, cold and pain. Nerve damage can lead to many other problems, and the lack of feeling can increase the likelihood of injuries and infections, which are harder to treat and heal. 5. Calluses. Calluses are common amongst diabetics, since there are high-pressure areas under the foot that can become callused as a result of friction. These can become open sores if not treated properly, so you should always seek professional advice. The best way to keep your feet in good condition is to ensure that you wear shoes that fit your feet well and offer a good amount of support and cushioning. For the latest ranges of shoes for work, training or leisure, pop in and see our helpful staff at Foot Solutions, who will help you to find the best options for your and your lifestyle.